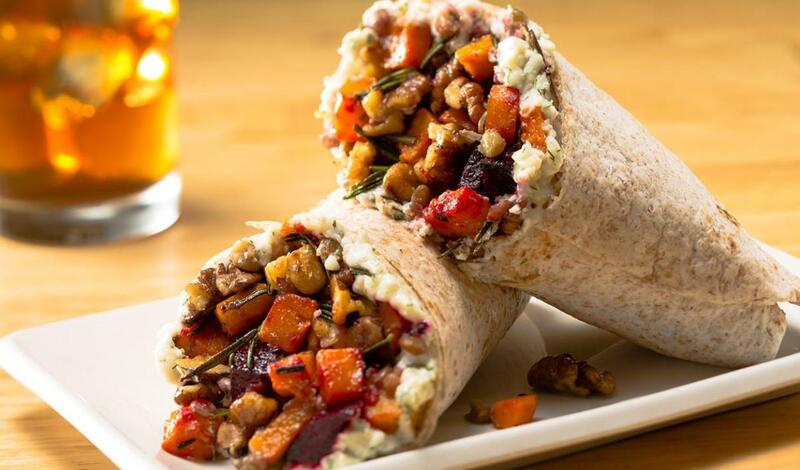 Butternut squash and beets are wrapped up with dill and goat cheese mayonnaise and lentils for a savory mouthful. Combine all ingredients in a large pot, cover, and bring to a boil. Reduce to a simmer and allow to cook to desired tenderness, about 20-30 minutes, drain excess liquid if necessary. Top the tortilla with squash, beets, nuts, lentilsand Goat Cheese Mayonnaise. Fold in one end and roll to create a wrap.